We Start a Journey | Sprezzatura, Y'all! One of us had a birthday this week and we decided that to celebrate we’d take a little trip. With all of Europe at our disposal, it was tough to decide where to go. Paris? Provence? Spain? Austria? Well, you get the dilemma . Through a not so very straightforward process, we settled on Switzerland. By way of Florence. One of our favorite places is in Florence. 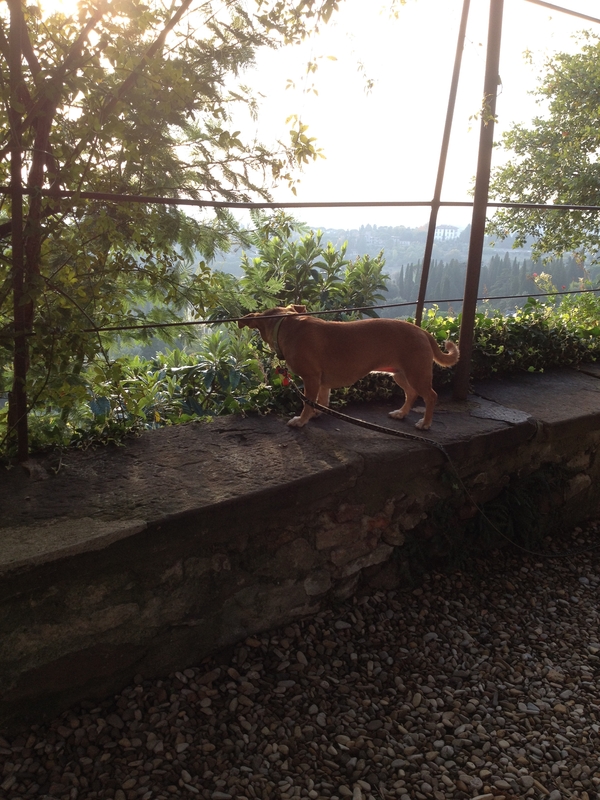 Well, actually just north of Florence in Fiesole. It’s called Pensione Bencista and we’ve stayed there since 1997 when we first ventured to Italy. Since we had to take the train from Florence to get to Switzerland, we thought we’d just spend the night at Bencista. That was the actual birthday night and we both agreed it was one of the best ever. When we arrived, it was raining and dreary. We drove there from Anghiari and arrived at about 12:30. We had lunch up in Fiesole at an OK restaurant and sat next to a group of six from New York. No offense to anyone from New York, but it was not what we wanted to hear on one of our birthdays. Then we drove down to Bencista. I almost heard a chorus of angels singing when we drove down their steep and winding entry road. It’s such a magical place to us that no matter what the weather, it’s like an oasis. It’s a quirky old place that has a rich and not so pleasant history. It includes a beheading, a convent and a painter’s studio. Its origins date back to the 14th century and over the years it has been expanded and enhanced. To us, it is pure joy. 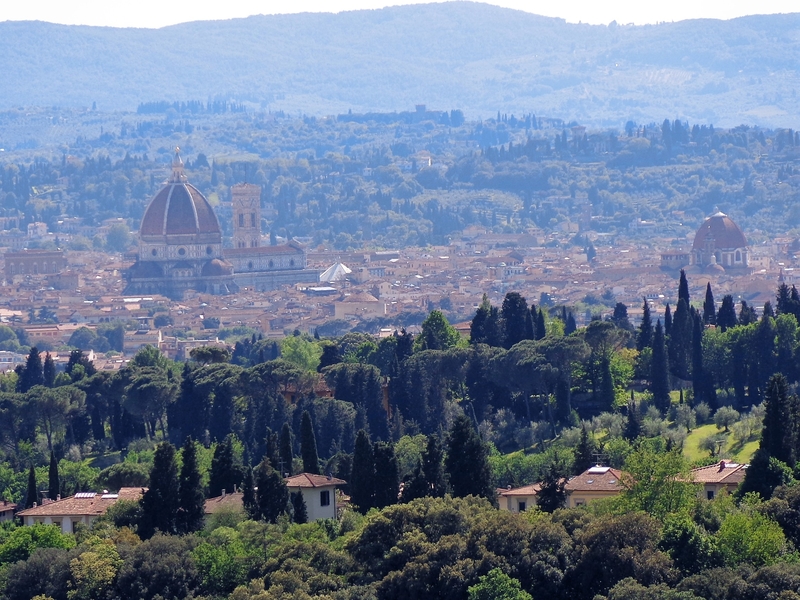 Fiesole is on a hill overlooking the city of Florence. Anyone who has ever been to Florence knows that it is a wonderful city with many incredible experiences. It is the birthplace of the Renaissance, has arguably the most fantastic duomo in the world, and is home to some of the finest art known to man. But it’s a big city with lots of cars and because it’s in a valley, can be pretty polluted, especially in warm weather. Fiesole is just a few miles from Florence, on a hill above town and above all the motor scooters, cars, buses, and crowds. From Bencista, you have one of the most amazing views of Florence on the planet. You overlook the city with the duomo towering over it and imagine the genius that emerged from this place. Once we got there and walked around the garden, saw the gorgeous view, said hello to the owners, we decided to stay there for dinner. They serve dinner in a big dining room and I’ve always imagined that when this place was a convent, that the nuns had their meals in this room. It feels like a place where people have been braking bread together for a very long time. The dinners at Bencista are simple and there is no menu. 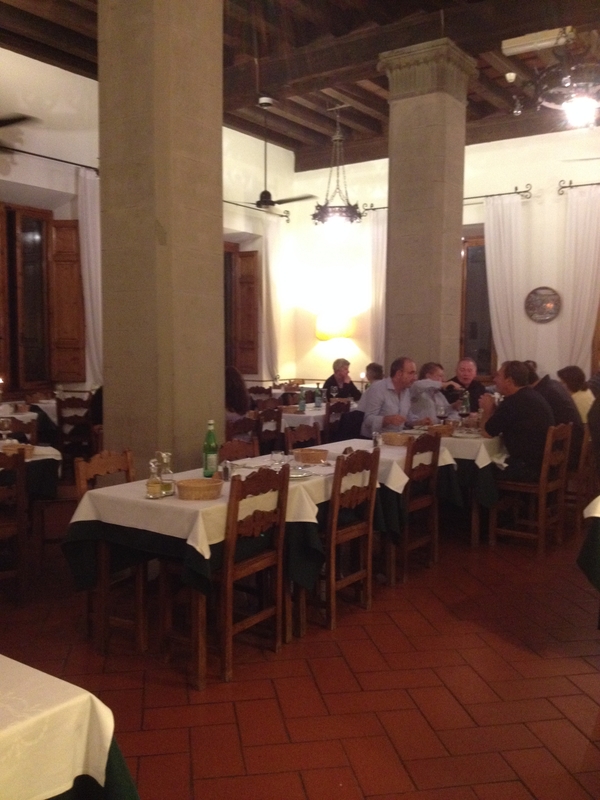 The food is typical Tuscan, all local ingredients and you eat what they’ve prepared. You get a choice of soup or pasta, but the main course is what it is. You also get a choice for dessert. 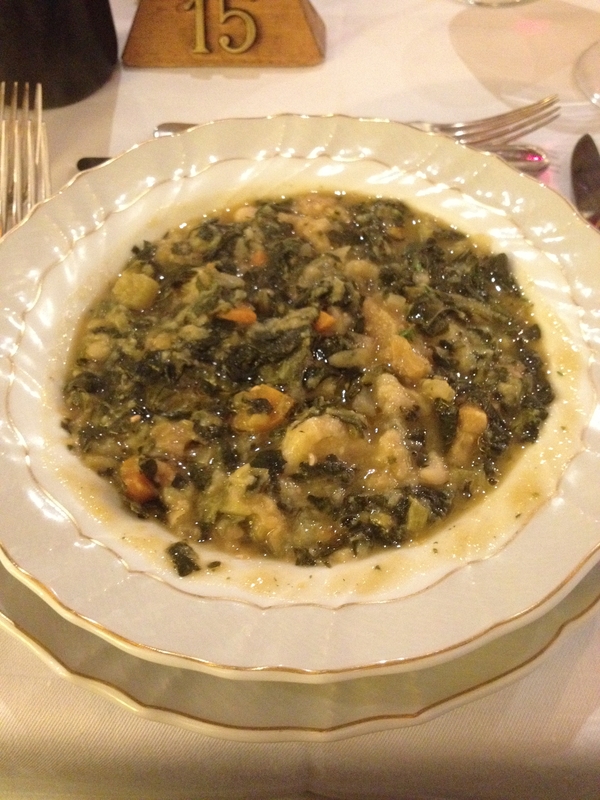 We had ribollita, a traditional Tuscan vegetable soup. Its origins are in cucina povera, feeding hungry people with what you have on hand. It means “re-boiled” and was originally made from leftover vegetables and bread. It was just what we wanted on a rainy day. The pasta choices that night were with tomato sauce or black cabbage. The entrée was beef with potatoes and sliced tomatoes. It tasted like roast beef and reminded me so much of the roast beef my mother used to make with potatoes and green beans. Then for dessert we had a choice of crostata, fruit or cheese. I had cheese and Steve had the crostata. They were wonderful and the meal was a simple but perfect birthday dinner. The next morning we left for our Swiss adventure. It was raining again in Florence. It’s wonderful to be there in great weather when you have the tremendous views, but there’s something dreamlike about it in the rain, haze and fog. It adds to the timelessness of the place and emphasizes all the hardship, tragedy, and triumph that has made this area what it is. The birthplace of the Renaissance. Fog? Big deal. Our stay at Pencione Bencista was fantastic . It is a magical place. We’re going back there next week with a friend who will be visiting. Can’t wait! Happy Birthday, Cathy. Hope you all have a wonderful trip. We had a great trip, Edith. It was truly magnificent. Thank for the birthday wishes. It’s one I’ll always remember! What a fantastic place to spend your birthday!Love your descriptions of the food& fun! Yes is was fantastic! The food is definitely one of highlights of the trip.